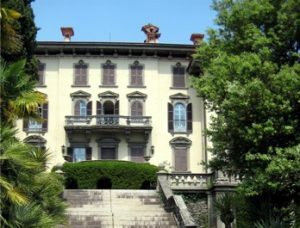 Charming villa on Lake Maggiore with beautiful gardens. This marvellous venue provides a breathtaking setting for romantic civil weddings in the Italian lake district. The baroque style villa is located in an outstanding botanical park with exotic plants and terraced flowerbeds. A dream location for your special day.